Earlier this week it was announced his year-long contract on EastEnders wouldn't be renewed. And Charlie Winter, who plays Hunter Owen, already looks like he's found an alternative career as he shared his second rap video, Overdue, recorded under the name Chaz. The actor, 22, took to Instagram to share the video with his followers which has already racked up over 13,000 views less than a week after it's release. 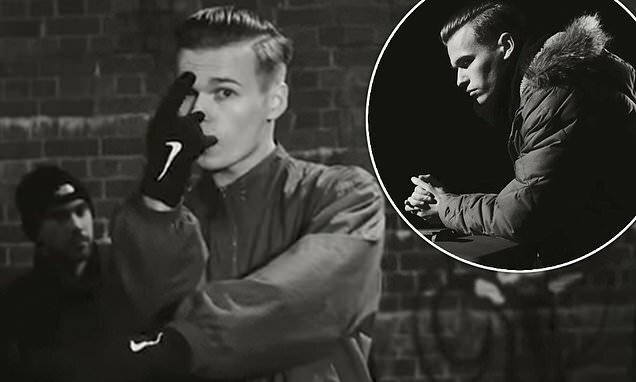 The black and white video, thought to be filmed in London's Regent Park, shows a different side to Charlie as he raps about his pals and ex girlfriends. The musician donned a padded jacket for the video before changing into a slim fitted jacket and cladding his hands in Nike gloves. Users on the social media site shared their thoughts on the video, with one saying: 'Can't stop watching this'. While another called the track 'phenomenal' and told Charlie he has 'such an incredible future'.